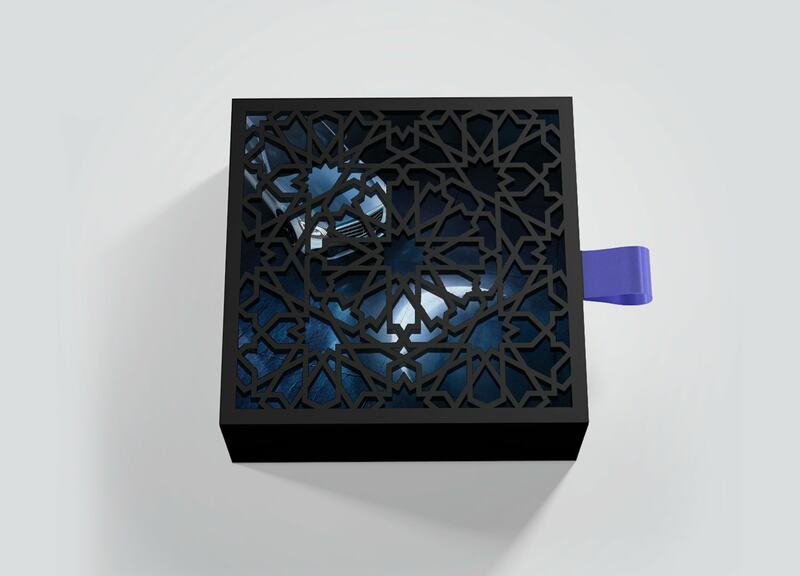 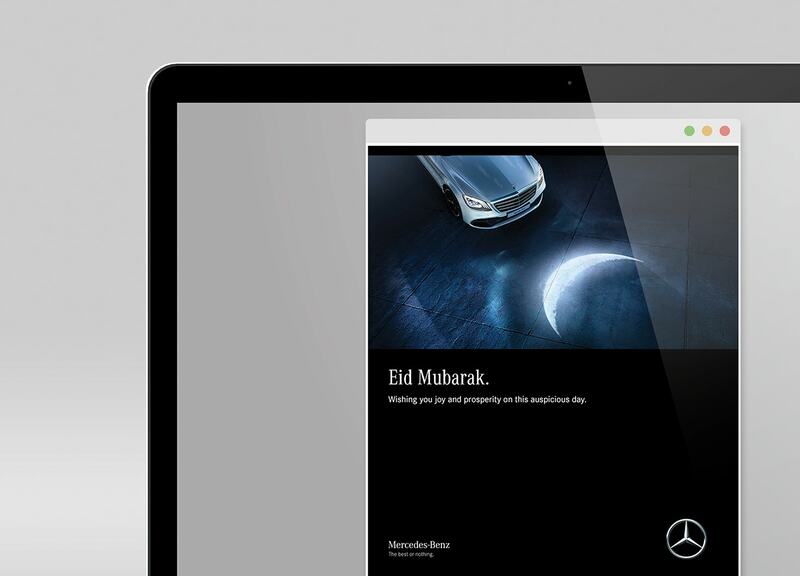 To commemorate the spirit of Ramadan, we created a visual campaign for B2B and B2C uses. 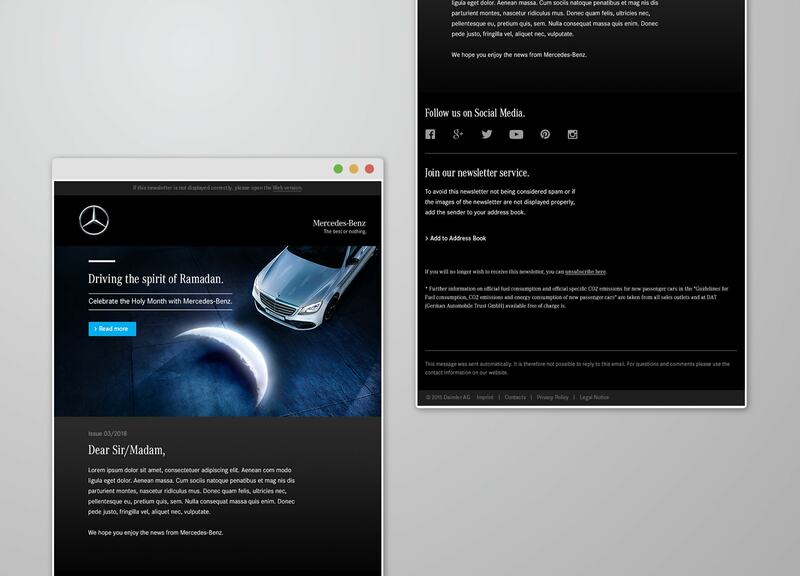 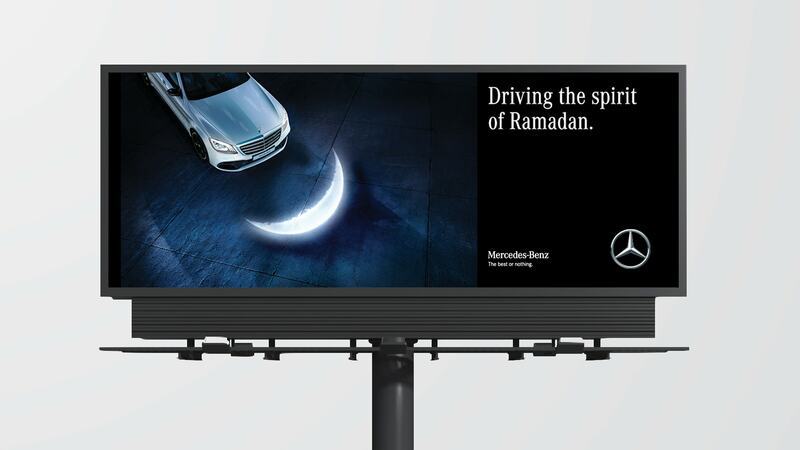 Our key visual saw the shape of the moon being devised through the Mercedes-Benz’s patent headlamps, implying that the audience drives the spirit of Ramadan. 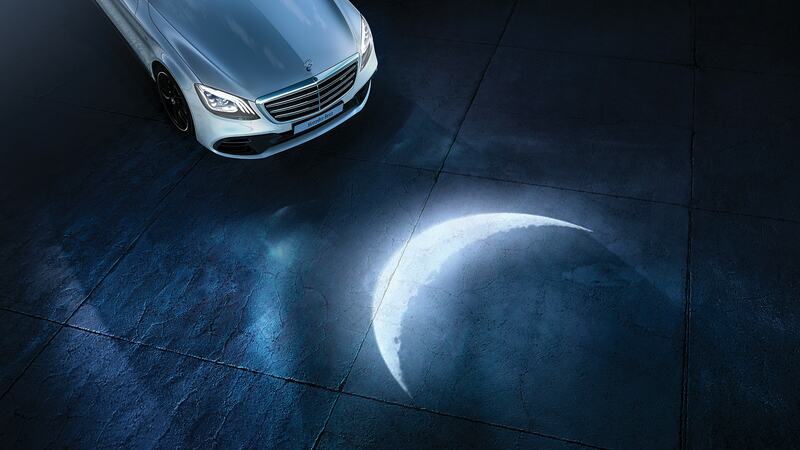 An alternate interpretation of this visual was the reflection of the moon on the floor. 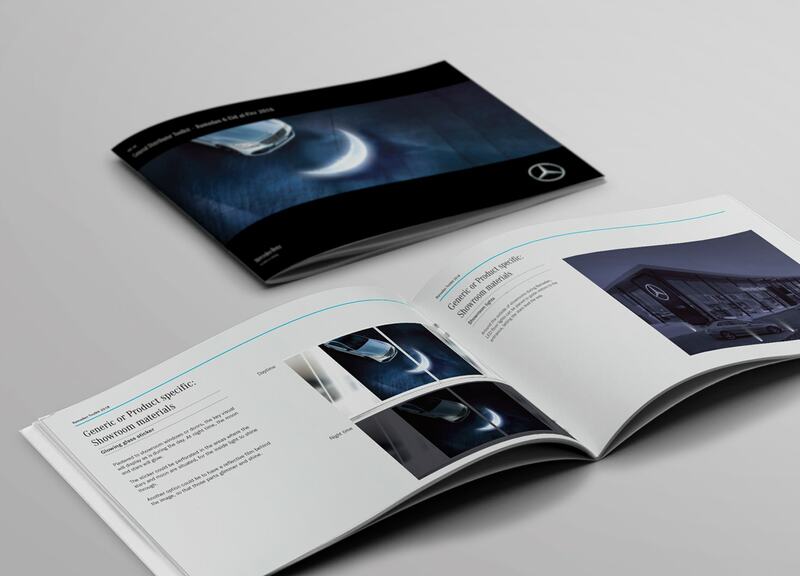 This was supported by digital engagement, a premium physical copy of the booklet and outdoor ads.